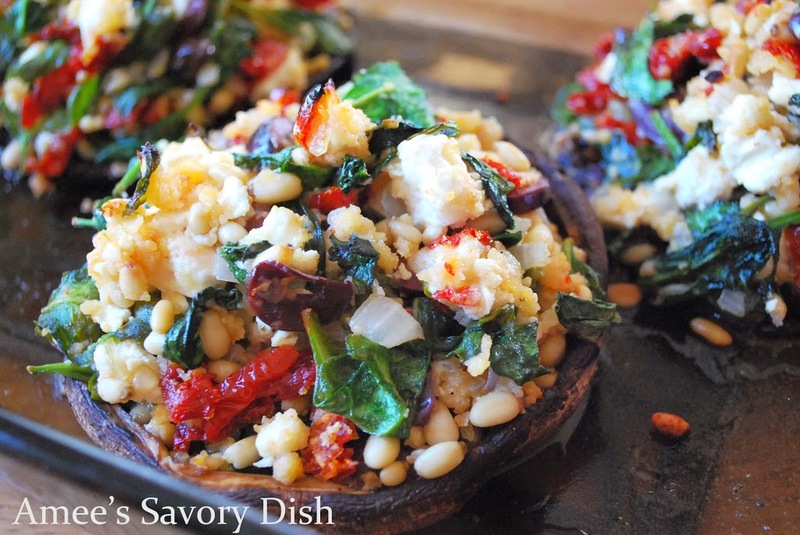 Mediterranean stuffed portabello mushrooms are an easy healthy side dish or meatless main dish. Plump portabello mushrooms are stuffed with sun dried tomatoes, Kalamata olives, feta cheese, and more! I’ve been on a bit of a Mediterranean kick, lately. Maybe I’m subconsciously longing for a tropical vacation. A trip to the Greek Isles would be lovely, some delicious food, warm sun, sand between my toes, a good glass of wine….ahhh…sounds perfect! When can I leave?!! Oh well, I guess a Greek inspired dinner will just have to do.